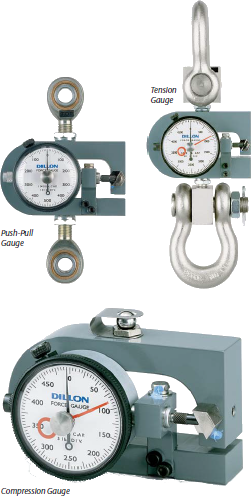 Mechanical Force Gauges are ideal for those applications where working space is limited. 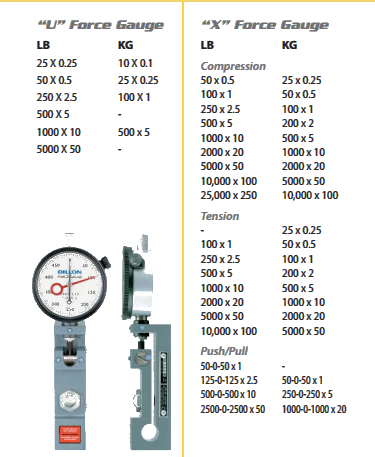 These popular industrial gauges available in tension, compression, and push/pull versions are certain to fit your needs. Often used in aircraft, manufacturing presses and as ultra-portable scales. Easy to use: Mount horizontally, vertically or flat.